The rear-wheel-drive sedan features a carbon fiber roof. The Tokyo Auto Salon is in full swing and it’s the place where Toyota is showcasing the GR Supra Super GT concept. The race-ready A90 is not the only novelty at TAS as the Mark X is also there to lure in fans of old-school big sedans with naturally aspirated engines. The car’s design might not scream performance, but the new Mark X GRMN packs some serious power channeled to the rear wheels exclusively through a six-speed manual gearbox to the delight of purists. At the heart of the tail-happy sedan is the familiar 3.5-liter V6 with 313 horsepower and 280 pound-feet (380 Newton-meters) of torque on tap. Special tuning of the front and rear suspension makes the sedan more nimble and agile, while the electric power steering and stability control system have been tweaked as well. At an additional cost, the car can be ordered with an optional CFRP that will cut approximately 10 kilograms (22 pounds) of weight compared to the standard steel roof and will lower the center of gravity. Other goodies include 19-inch forged BBS wheels with 235/40 R19 front and 255/35 R19 rear tires backed by GR-branded brake calipers developed specifically for the Mark X GRMN. 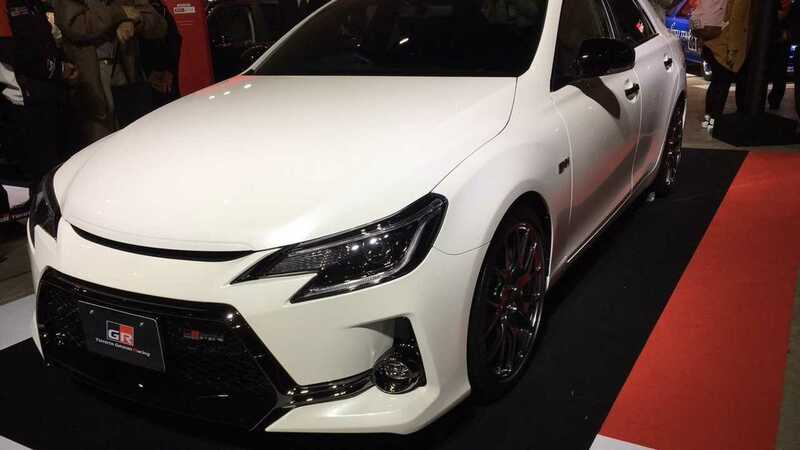 Toyota also made some changes inside the cabin where there are body-hugging seats for the driver and front passenger, along with alloy pedals and an assortment of carbon fiber accents to spruce things up. 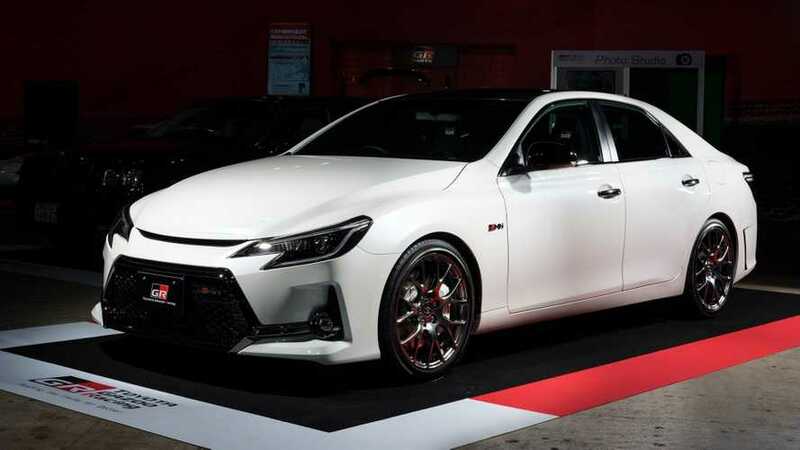 Carrying the top-tier GRMN badge, the sporty sedan will be limited to only 350 examples and that’ll make it less exclusive than the previous version launched late 2014 in Japan with a 100-unit production run. JDM buyers will have to spend at least ¥5,130,000 (about $47,370 at current exchange rates) before options to get behind the wheel of the Mark X GRMN.